I will not try to persuade you to have more treatment sessions than you need. The whole point is to get you better, and feeling better as swiftly as possible. Often, one or two sessions will be enough. You will know if you are starting to feel better or not. You should feel free to stop at any time – or come back for a top-up at any time. If I feel you need conventional medical treatment, I will say so. There are things I can do – and things I can’t do. I don’t mend broken limbs, for instance. The kind of traditional shamanism I was taught seeks to get rid of negative energy from which illnesses can arise. And to replace it with positive energy. Often it’s a sensible thing for a client to have conventional medical help as well as shamanic treatment. My vocation as a shaman is to help people – not to stack up dependency on session after session, charging increasingly expensive fees. One time when I went back to Siberia, I was paid a live sheep by a client living in the steppe. When I came back to London, I looked up the price of a sheep at market, and found it was the same value as the common charge for alternative therapies in Britain. I will endeavour to keep my fees reasonable – but no live sheep here, please. These three figures above are called “Ongon” and are made by shamans for people to protect their household. 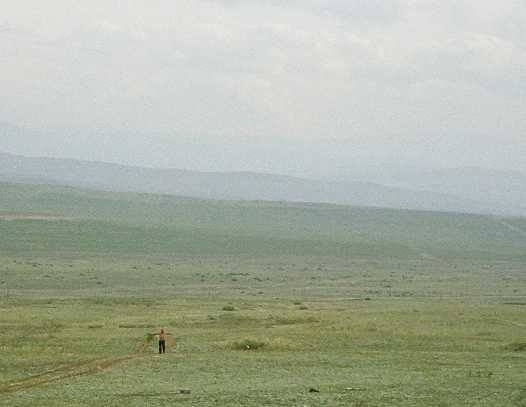 In Tuva, shamans have been making Ongon for thousands of years. 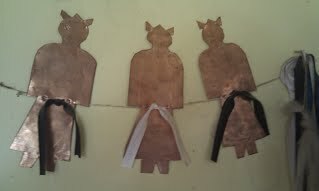 They are copper and made through ritual, and charged with energy to repel black energies. They are usually fixed to a wall, often in the kitchen. Every now and again, the owner can purify and recharge them with juniper smoke. They should not be handled or touched once they are put into position. The left hand side should be clear, but you can put ribbons sometimes called “kadak or chalama” on the right hand side – any colour except yellow. Sometimes the figures are made of felt.